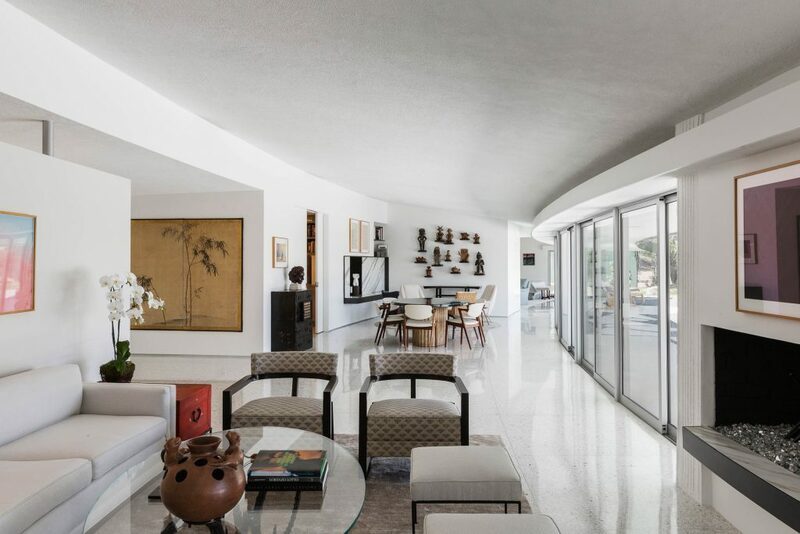 With the last of their children grown and living with their own families, the owners of this mid-century modern William Krisel house asked Rios Clementi Hale Studios to reconfigure it as a home for a couple. The transformation preserves the significant character of the home, while creating gracious and bright central spaces that open to garden and city views. 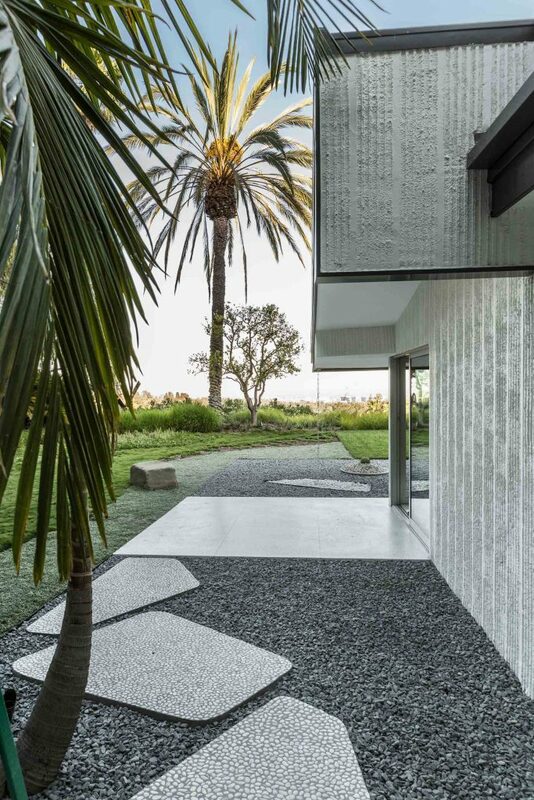 The design creates a connected experience between the house and landscape, with emphasis placed on creating spaces that flow between inside and outside and the new outdoor spaces on the property. Working in close collaboration with the homeowners, both avid art collectors, and with Krisel’s original design, we framed a central hub and entry space with a focus on views to the gardens and the city beyond. 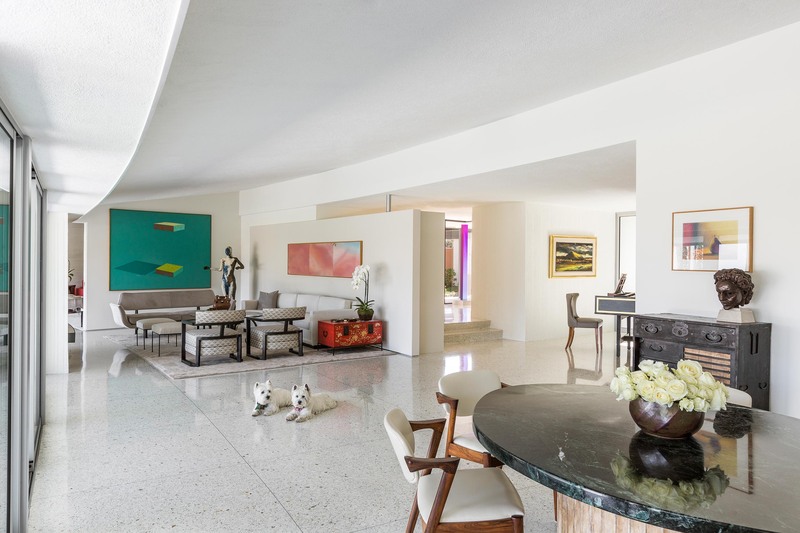 The interiors reflect the couple’s varied taste, incorporating their collection of Asian antique furniture, pre-Columbian sculpture, and contemporary paintings. To complete the interiors, we added a mixture of original and reissued mid-century pieces, placing the home squarely in context. 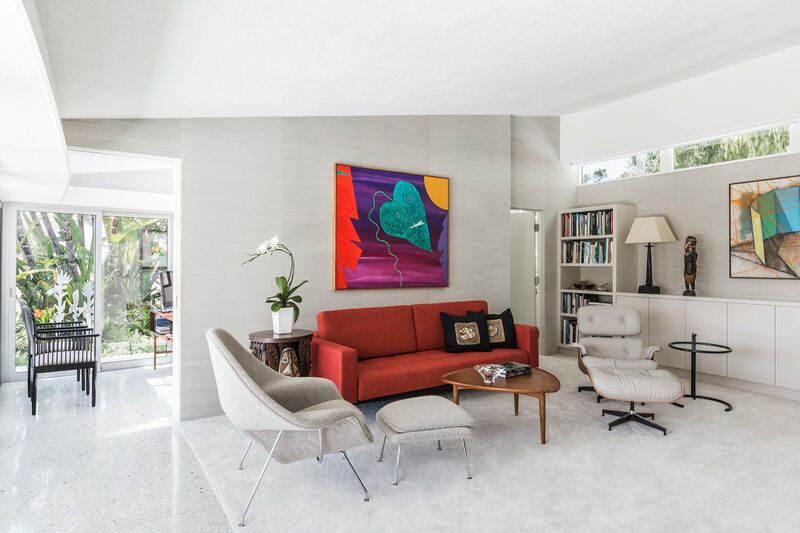 Furnishings stayed true to mid-century architecture and are a combination of vintage and reissued pieces. With a muted but textured white palette, the interior architecture created a neutral backdrop for art and sculpture. The owners’ eclectic collection of fine art and antiques make for a decidedly personal interior experience. Eliminating several small bedrooms allowed us to open up the house and reorganize its circulation, focusing attention on the back wall’s graceful arc form and its unobstructed 180-degree views of Los Angeles. 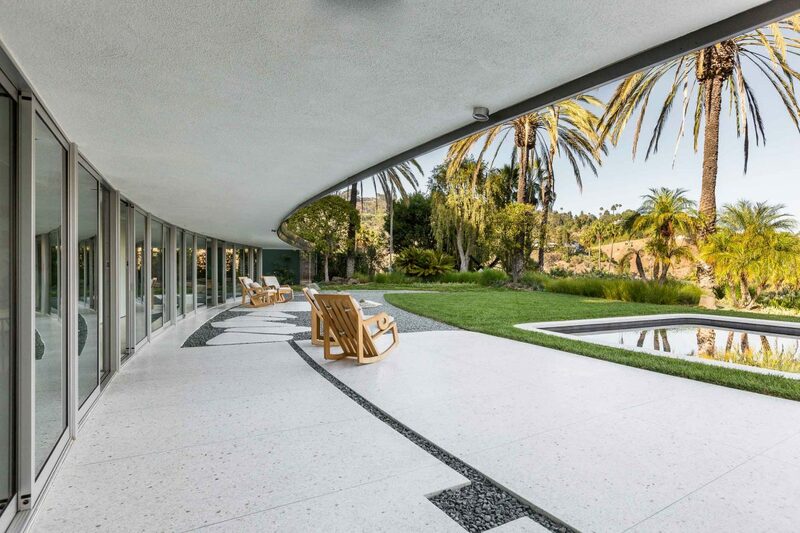 New terrazzo floors flow throughout the ground floor and extend outside to the poolside patio. 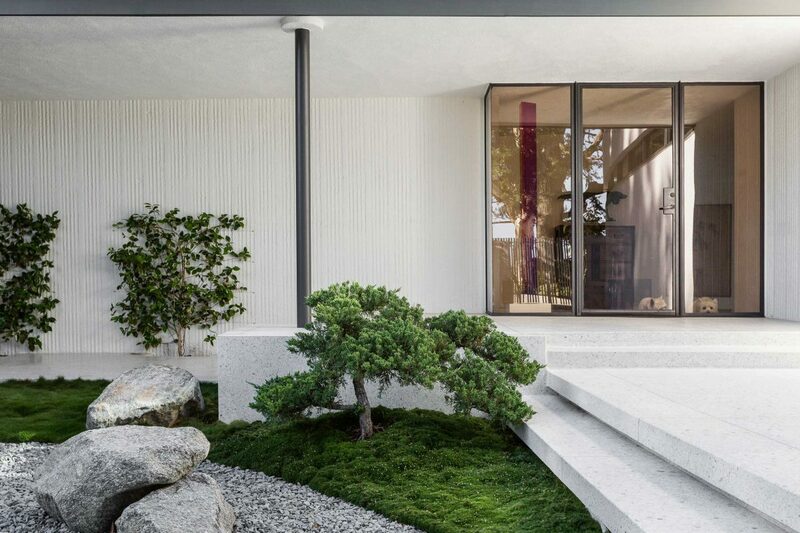 Their authentically mid-century modern materiality integrates the home’s interior and exterior and promotes the indoor-outdoor southern California lifestyle. We simplified the landscaping by curating plant and tree specimens and relocating trees that were obstructing views from the house and garden. We connected a series of garden vignettes around the property, including a new master suite hot tub, a new terraced orchid garden, a poolside dining space, and a citrus-tree-lined hillside pathway. 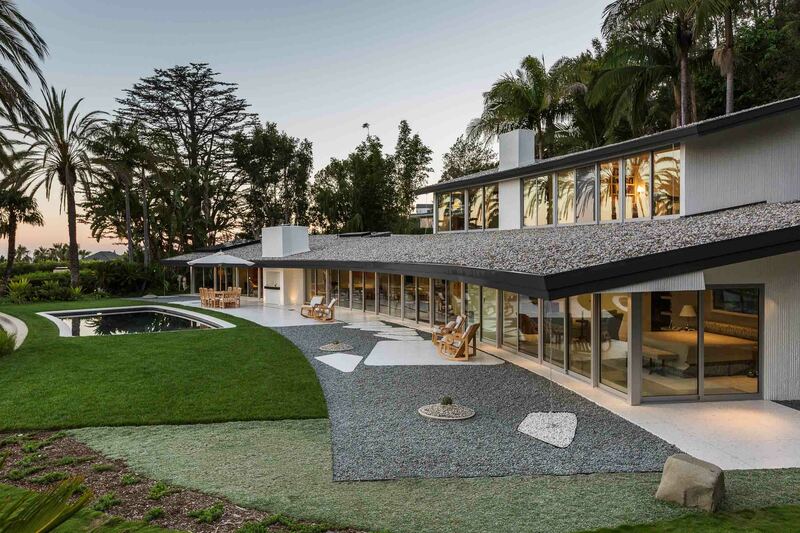 To emphasize the view, the lawn was regraded and large existing trees were carefully curated or relocated to frame key city and canyon views. 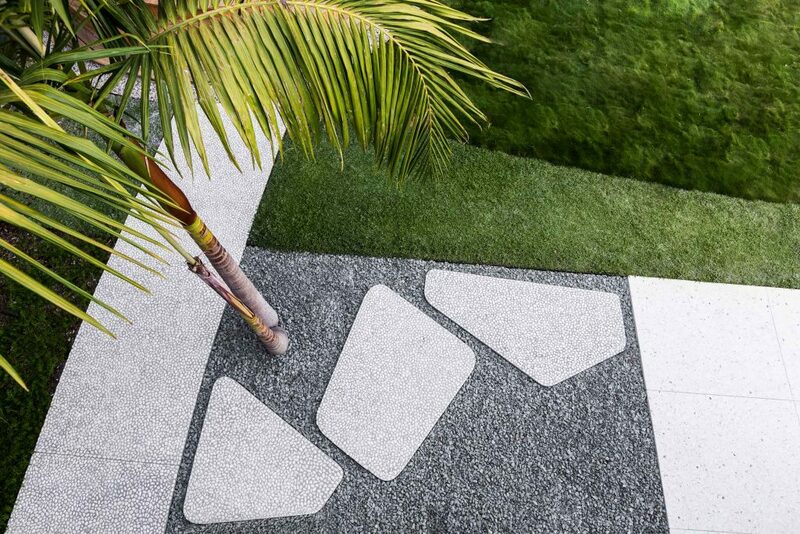 The swimming pool’s curved outline was framed with sod and a mix of walkable, drought-tolerant ground cover that also provides visual variation in color and texture. 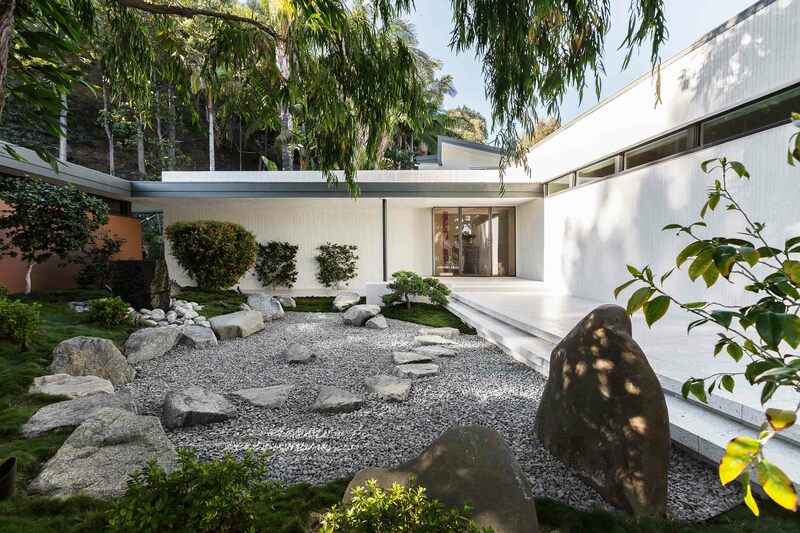 Weaving the Zen aesthetic throughout the rest of the landscape, the rock garden was extended to surround the entire footprint of the existing house, taking out a large swath of lawn along the south side. The house now appears to sit in a garden extension of the courtyard. Outdoor dining furniture sits upon a solid terrazzo plane that’s bordered by pebbles inset with terrazzo “lily pads” acting as stepping stones.